Dutch Melodic Death Metal PUREST OF PAIN (Ft. Members of DELAIN) New Album "Solipsis"
Combining Scandinavian metal influences with groove, ambiance, tone and melody, PUREST OF PAIN is a force to be reckoned with. Featuring lead guitarist and main songwriter Merel Bechtold (DELAIN, MaYaN and The Gentle Storm, Anneke van Giersbergen) with bassist Frank van Leeuwen, vocalist J.D. 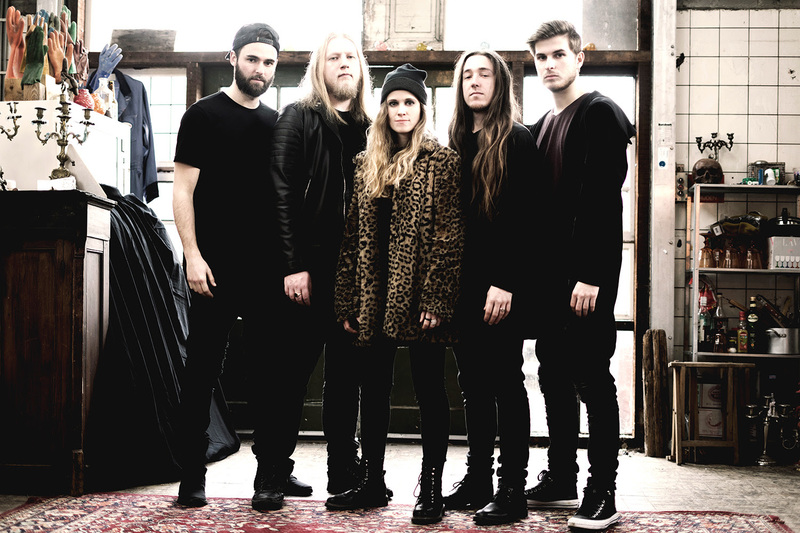 Kaye, guitarist Michael van Eckis along with DELAIN drummer Joey de Boer recently joining their ranks, the Dutch melodic death metal band is proud to unleash their debut album "Solipsis" out now as of March 1st, 2018 to follow their 2013 single "Momentum" and 2011 EP "Revelations In Obscurity". "Solipsis" is 14 tracks of brutality blended with groove and emotion produced by Merel Bechtold with recording done at Mantis Audio Studio (Delain) and mastering by Jens Jorgen (Opeth, Arch Enemy, Soilwork). "Solipsis" has been seven years in the making for the band, from the writing process up to the final mastering to launching a successful online crowd funding campaign on Indiegogo that raised over 18,000 Euros (thank you video here). In addition, over the years PUREST OF PAIN increased their recording funds through live performances, opening for such bands as Opeth, Textures, Suicide Silence, Unearth and Attack Attack! plus an unforgettable slot at Wacken in 2014. "‘Solipsis’ is a guitar oriented record, is has been recorded as organic as possible: partly at home, partly at Mantis Audio Studio. The song ‘E.M.D.R.’ is written by fellow guitarist Michael van Eck. All the other songs were summoned by myself. The lyrics are written by vocalist J.D. Kaye. And even though the music is at times technical and challenging, it's undeniably driven by relentless groove, enhanced by hugely melodic passages, wonderful tone and moments of ambient clarity." "Solipsis" is now available on CD, Vinyl plus digital release on Big Cartel here, iTunes, Amazon, Google Play, Spotify, Deezer. The CD and Vinyl versions have slightly altered artwork. Merel Bechtold was responsible for its concept and bass player Frank van Leeuwen designed and finalized the covers.